To assist with veterinary bills for an emergency medical case. We were able to apply this to extensive medical bills that exceeded $5,000. This grant assisted Barley, a puppy who was surrendered to us on July 15, 2018, via the emergency vet clinic when his owners were unable to provide him with the medical care he needed. 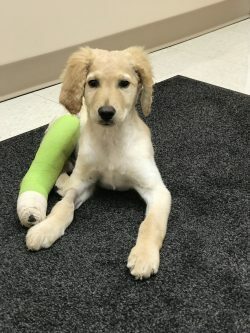 Barley was attacked by the neighbor’s dog and had multiple bite wounds and multiple fractures. 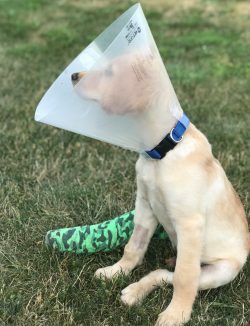 Barley required surgery to repair the fractures, which included placing a plate and multiple screws. 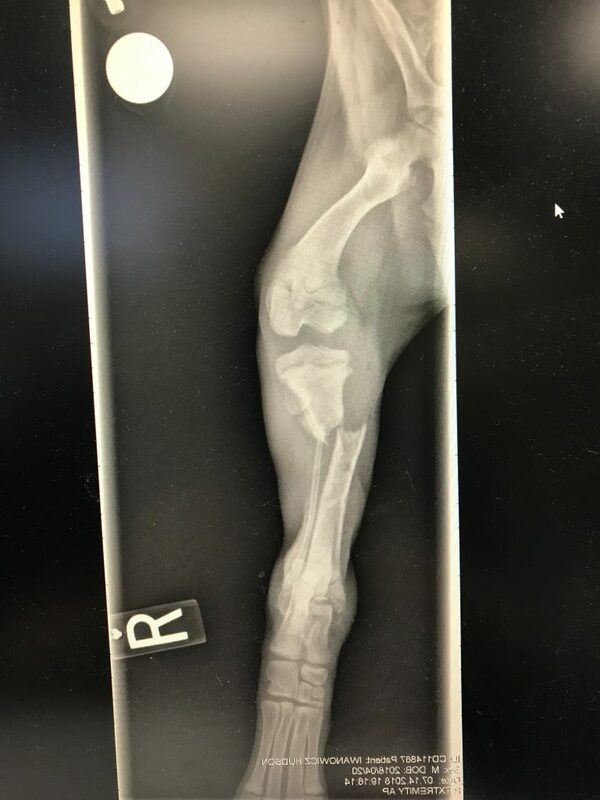 His E.R. bill and veterinary care bills totaled almost $6,000. Due to his age and the extent of the injuries, Barley goes to see the surgeon two to three times per week to have the dressing changed. 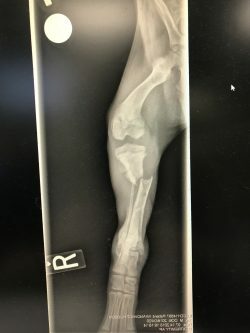 Unfortunately at one point it was determined that, due to the extensive bite wounds, the infection was not clearing up with antibiotics and one area of one of the fractures was not healing. It was determined that the best course of action would be to remove the plate and screws, which resulted in an additional charge of almost $1,400. Barley was a very sweet boy who tolerated all of the procedures and handling surprisingly well! Barley was a very happy, social and outgoing boy, and we are very happy to report that he was adopted! Success Stories from Help Orphan Puppies, Inc.